U.S. Rep. Peter Roskam, a Wheaton Republican in a tight race with Democratic challenger Sean Casten, took credit for the EPA's commitment to conduct more testing for ethylene oxide in part of the area he represents in Congress. 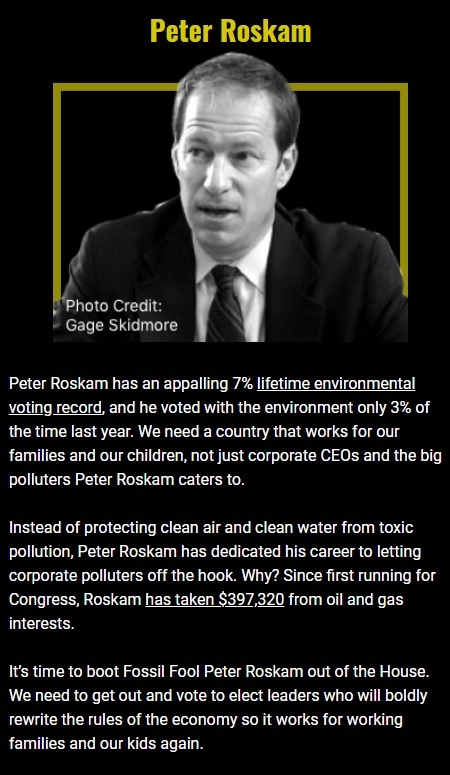 Casten has criticized Roskam for having a 7 percent rating from the League of Conservation Voters on public health and environment legislation, and for supporting Republican-authored bills that would strip the EPA of authority to address health risks from ethylene oxide and other toxic chemicals. The Groundhog was unavailable for comment. I was previously unaware of that "Fossil Fools" site. It is absolutely correct in its assessment of Peter Roskam. He's got to be defeated in November! Elect Sean Casten! 95% of Peter Roskam's donations are from lobbyists.